The Conditional Start and Conditional End transformations support conditional flow processing within a SAS Data Integration Studio job. The Conditional Start transformation uses SAS macro %if logic. You can define distinct portions of a job to run conditionally, based on whether the associated defined condition is determined to be true or false. Job flow is sequential and multiple conditions can be defined within the same job that might or might not be logically related to one another. Each conditional definition block that you create starts and ends a task or series of tasks that run if the defined condition is true. 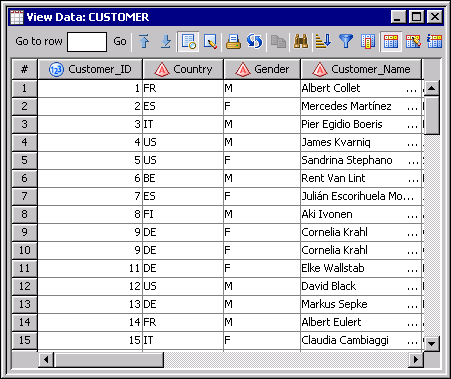 You want to run one or more sections of a SAS Data Integration Studio job as a conditional process. You can add the Conditional Start and Conditional End transformations to a SAS Data Integration Studio job to create a conditional definition block. You must reorder the contents of the Diagram tab to define the conditional definition block. Note that the tab shows the transformations in the following order: Conditional Start, Sort, and Conditional End. 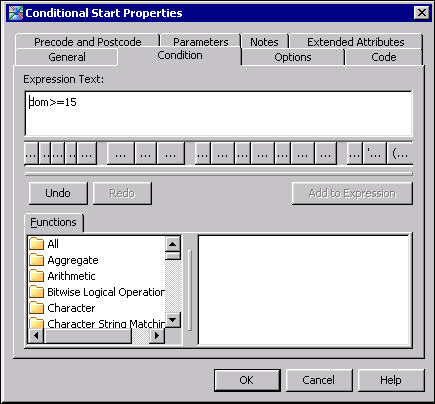 The condition input in the Condition tab in the is processed by the %eval (Condition) function in the generated code of the transformation. You can click on the function in the Functions pane to see a description. Right-click on an empty area of the job, and click Run in the pop-up menu. SAS Data Integration Studio generates code for the job and submits it to the SAS Application Server for execution. You can check the Status tab to verify that the job completes successfully and that the condition flow is executed. 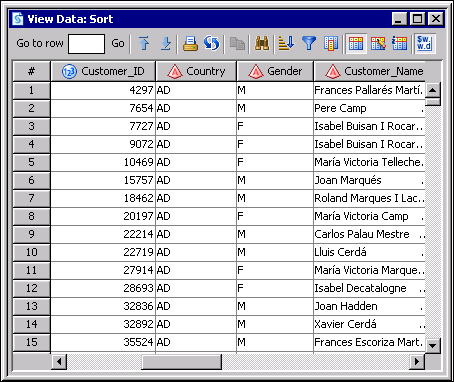 In this case, the output is sorted by country This result is expected because the expression in the Condition tab was executed.